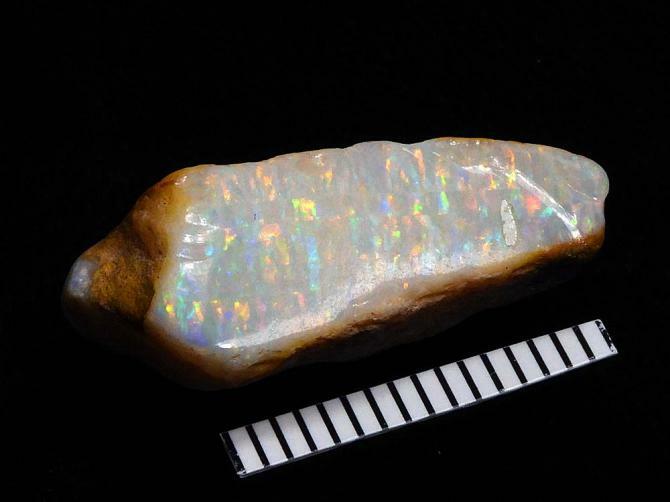 Most rough opals have some type of fault...most rough opals have a bit of this or that to make cutting a challenge. But I see nothing at all to make this stone challenging to work...great colors and brightness, semi-pendant cabochon shape for a super high yield...very little matrix. As they say in Australia..."easy peasy lemon squeezy". Only thing I can think of...if it was just a little bigger...that's the opalholic in me talking.